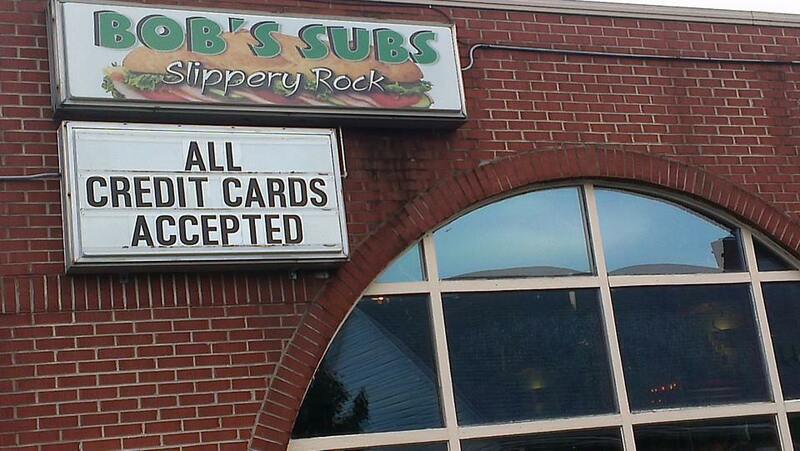 Bob’s sub is a staple in downtown Slippery Rock. The food is great and the staff members working there are nice and quick. Old and new students alike, as well as the town’s natives and guests, have been enjoying this place for decades. At Bob’s Sub & Sandwich Shop they cut all their meats onsite and toast the rolls. The sandwiches are prepared with mayonnaise and if you are not a fan, ask to get yours without or with light mayo. You can choose from 3 different sizes. junior, senior, or giant. This place is always consistent and does not change. It is nice to return after years and still get the same exact thing you did 10 years ago, the same exact way. Monday 10:30 a.m. – 10:00 p.m.
Tuesday 10:30 a.m. – 10:00 p.m.
Wednesday 10:30 a.m. – 10:00 p.m.
Thursday 10:30 a.m. – 10:00 p.m.
Friday 10:30 a.m. – 11:00 p.m.
Saturday 10:30 a.m. – 11:00 p.m.